Best Large Dog Breeds – Which Are the Top Family Pets? Home Breed Information Best Large Dog Breeds – Which Are the Top Family Pets? Are you thinking about bringing one of the best large dog breeds into your family? We’re here to help you pick the right one for you. Bringing any new dog into your family is an important decision, and choosing the right large dog is a big responsibility. To us, the perfect family dog is good with other animals, great around children, and won’t have huge medical costs. I’ll talk a little bit about these areas in general first, then share with you our list of the top ten large dogs for families. The #1 best large dog breed may not be the best one for you, which is why we don’t just provide the one breed option. Even within breeds, not all dogs are the same. Each dog has its own personality and quirks. A dog can differ from the “average” characteristics of its breed either due to genetics, environment, lack of socialization, or training. 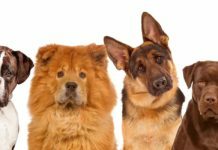 To help you choose not only the right breed but also the right individual dog, here are a few criteria you should consider. Serious medical conditions can cost a lot of money and take a lot of your time and energy to care for. They can also be heartbreaking for you and your family. You can never guarantee a healthy dog, but there are ways you can increase your chances. First, we recommend avoiding any breeds that are known to have serious genetic health problems, such as brachycephaly. Even with healthier breeds, there are often still potential genetic diseases you should be aware of. Hip dysplasia is a medical condition that is common in even the best large dog breeds. For each of the top ten dogs we cover, I will mention some of the more common health problems to be aware of and link to further reading sources. Make sure the puppy you’re considering, and each of its parents have had the appropriate genetic screening and health testing done, as well as all necessary vaccines. If you have any health concerns, please check with your veterinarian. To bring a dog around our family, we want to make sure it’s going to be friendly, safe, and well behaved. Therefore, our best large dog breeds list only includes dogs known to have good temperaments. However, the general temperament of a breed cannot guarantee the temperament of an individual dog. 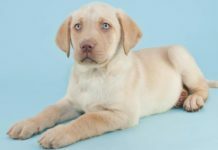 It’s important to make sure your puppy comes from a reputable breeder that has raised it in safe, healthy conditions with proper socialization. It’s also important that you continue socializing your dog and train it properly. Make sure any children in the home understand that a dog is not a toy. Even the best tempered dog can react poorly if it’s unintentionally injured. Large breeds run the gamut of energy levels from couch potato to work horse. All dogs require time, energy, and attention, but some need it more than others. When choosing the best large dog breeds for your family, try to be realistic about how much time you can devote to it. Dogs that don’t get enough exercise and mental stimulation can develop behavioral problems. Our list of large family dogs only includes breeds that typically get along with other animals. However some of them, such as Weimaraners, have higher prey drives than others. Most dogs can be trained to get along well with other pets, but if you have little animals in your home, a breed with a higher prey drive may not be the best choice. Make sure your puppy is properly socialized around other animals. Do not leave it alone unsupervised with other animals until you know they all get along safely. It’s also important to consider how your current animals may react to having a new addition to the family. Some large dogs will do fine in an apartment if they get daily exercise outdoors, while others need more space. Consider the size of your home and yard, as well as your accessibility to dog parks or other areas to exercise your pet. Also, if there is a lot of activity around your home, you may want to choose a breed that is less likely to bark. A vocal dog in an apartment could drive you and your neighbors crazy. Now that we’ve gone through the specifics you should keep in mind when picking your perfect pet, let’s look at the top 10 best large dog breeds for families. Greyhounds are known to be sprinters. These dogs have been bred to be very fast, but in short, intense bursts. In fact, they’ve been affectionately called the world’s fastest couch potato. 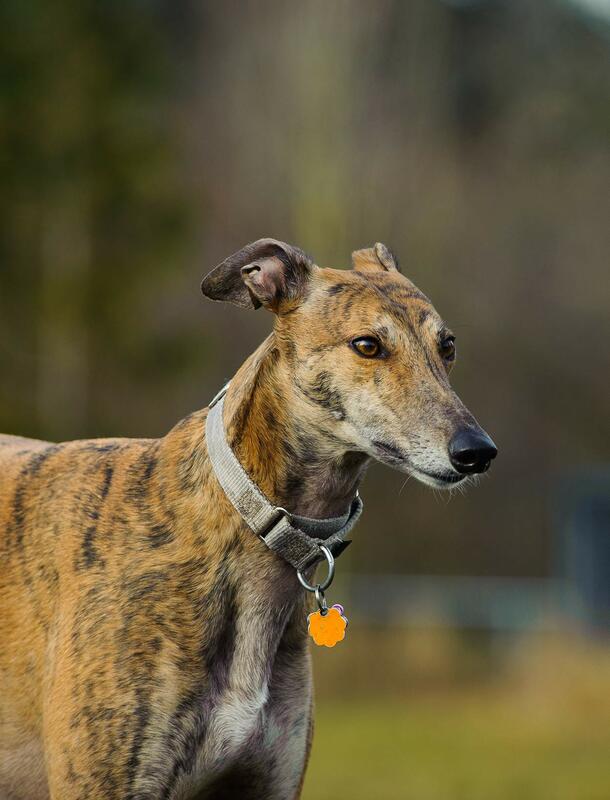 If you’re looking for calm large dog breeds, then the greyhound may be an excellent option. 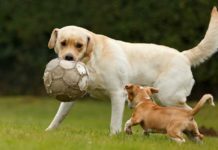 They need to be able to run full out for a short period of time, in a safe environment, such as a fenced-in yard or enclosed dog park. Once that’s done, they are perfectly happy to spend the rest of the day as idle housemates. Greyhounds have been bred to chase. Letting a Greyhound loose in an unenclosed space could result in your dog taking off. Greyhounds are an independent breed, but they are known to be exceptionally mild. Consistent positive and gentle reinforcement is important for training. These large short haired dogs require little grooming and only shed occasionally. This means they have the long head shape that looks closer to their ancestor, the wolf. Dolichocephalic dogs are 2.5 times more likely to develop nasal tumors than non-dolichocephalic breeds. German Shorthaired Pointers are known to be friendly and very eager to please, which means training is generally easy. They are possibly the most energetic dogs on our list, suited for a very active family. They tend to be more vocal dogs, so may not be suited to busy neighborhoods. Their short hair requires only weekly brushing, although they do shed regularly. If you have a large home, a large yard, and a love of the outdoors, these dogs could be perfect for you. They love being social and make a great companion for outdoor adventures. 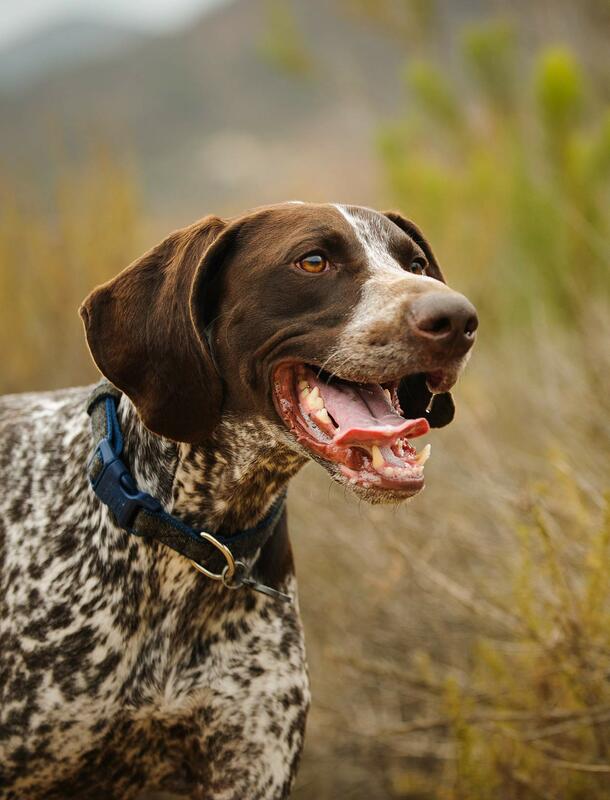 Like many large breeds, German Shorthaired Pointers are prone to hip dysplasia. Doberman Pinschers sometimes get a bad rap, as they are fearless and have often been trained and used as guard dogs. These dogs are very intelligent and loyal companions that can make wonderful family pets if properly trained and socialized. And early socialization, along with meeting the parents to assess their temperament, are key here. Dobermans are very eager to please and generally respond very well to training. They are very energetic dogs that will love long walks or hikes. If you have an active family, this dog may be ideal for you. A large fenced-in yard is also great for a Doberman, although they should not be left out alone for too long as they crave social interaction and mental stimulation. Dobermans are low maintenance for grooming, but they do shed regularly. German Shepherds are very intelligent work dogs. They require frequent exercise and mental stimulation but can make an excellent pet for an active family. Their eagerness to please and history as a work animal makes this breed generally very easy to train. German Shepherds are very loving and protective animals. However, proper training and socialization is important to ensure their protective instincts don’t go overboard. These dogs are known to be relatively calm, stable dogs who are very loyal to their family. Shepherds need to be brushed once a week, and they shed regularly throughout the year. This breed will do better with a family in a larger home. They also will do best in a home where someone is around a lot, as they crave attention and social interaction. Collies shouldn’t be confused with Border Collies. 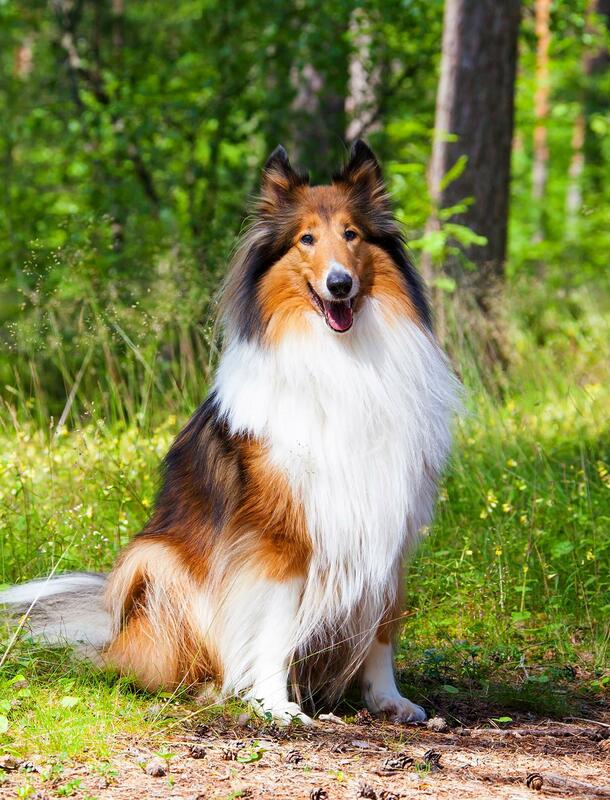 If you remember the famous dog, Lassie, from TV, then you know what a Collie looks like. These dogs are smart, loyal, and generally easy to train. They love learning and do well at agility and obedience courses. Collies are friendly animals that crave human interaction. These dogs are best suited to a home where they will get lots of love and attention. They require regular exercise, but if you provide daily walks and stimulation they will also happily snuggle up on the couch with you. Collies only shed seasonally, but they should be brushed 2–3 times per week due to their thick double coats. Standard Poodles are highly intelligent, athletic dogs that are commonly loved for their unique, low shedding coat. If you’re hoping for a hypoallergenic large breed dog, this is the closest one on our list. Poodles do have a high grooming requirement, as their coat needs to be clipped or trimmed regularly. If you’re looking for large fluffy dog breeds, Poodles top that list when they’re not sporting a short clip. Poodles are eager, loving family dogs, although they are known for being aloof with strangers. This member of the best large dog breeds is typically very easy to train. They excel at sports such as agility, tracking, and retriever hunt tests. However, Poodles can be sensitive creatures. They respond best when handled gently and will cower around raised voices. Poodles love to be social. They will do well in a home where someone is around often. Irish Setters are sweet-natured dogs that love to be active and outgoing. These dogs are known for their wonderful temperament and generally make a great addition to any active family. They have an agreeable nature that is easy to train, although their energetic disposition means they can become bored easily. Irish Setters are considered sensitive dogs, so lots of positive and gentle reinforcement is important. This breed loves to be around people, so they will do best with an active, outgoing family where someone is around most of the time. 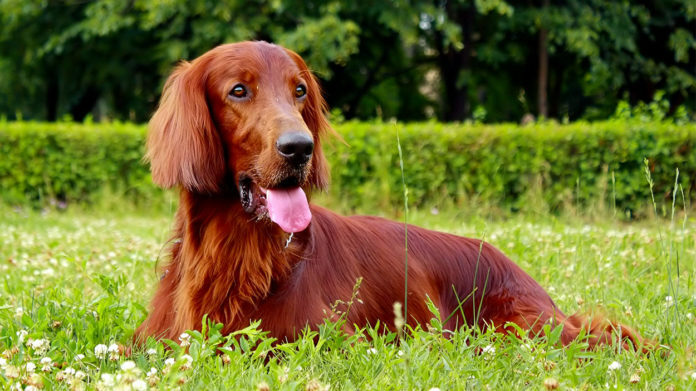 If you’re looking for large long haired dog breeds, the Irish Setter is an excellent choice, with their stunning red coat. It should be brushed at least 2–3 times per week to avoid tangles. 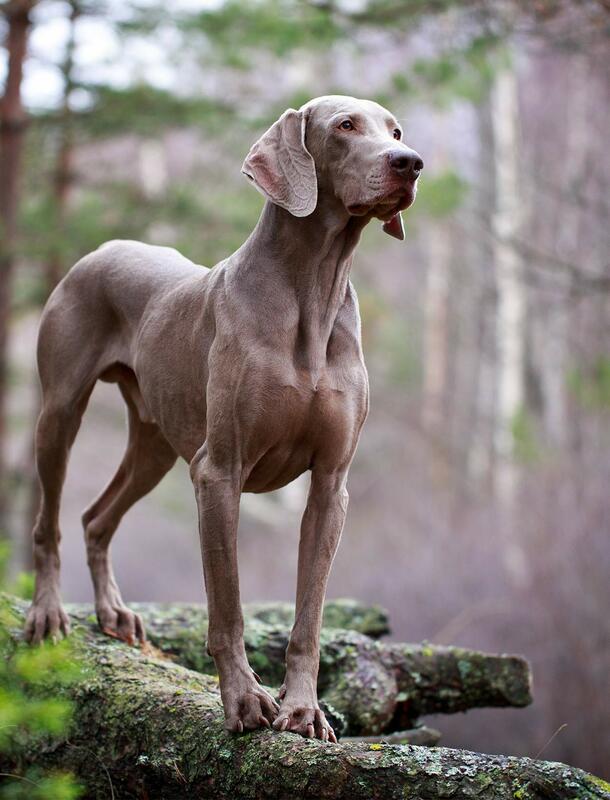 Weimaraners are friendly, obedient, and fearless. They have high exercise requirements and will enjoy plenty of active outdoor fun with their family. 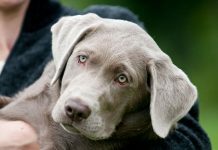 Weimaraners are smart enough to pick up good and bad behaviors, so proper and consistent training and socialization are important. Like many other large short haired dog breeds, Weimaraners only require weekly brushing and only shed seasonally. Golden Retrievers are the 3rd most popular dog breed in the United States, according to the AKC. These dogs are devoted animals that love to please. Retrievers love to fetch, whether it’s a duck or a ball. They can be serious work dogs, often used for hunting, search and rescue, and guiding the blind, but they’ve also been known to have a silly side. Retrievers are very outgoing and known to get along with everyone. They are generally very easy to train. Golden Retrievers are high energy dogs that need plenty of exercise. They will enjoy long walks and excel at many dog sports such as agility and tracking. Despite their long coat, Goldens typically only need weekly brushing, and they mainly shed seasonally. If you prefer large long haired dogs, this might be the ideal family dog for you. 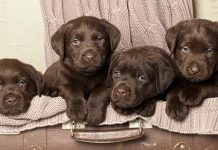 Labrador Retrievers are considered not only one of the best large dog breeds, but one of the best breeds overall. This breed has ranked number one as America’s most popular and beloved dog for over ten years, according to the AKC. They have also been the top family dog for the last five years, based on the AKC’s list. As a fellow retriever, many of the facts we shared about Goldens are also relevant to Labradors. Labradors have an amazing personality full of energy and love. They enjoy being given jobs to do and excel at fetching or retrieving. Labs are known to have a sweet and sometimes silly temperament. They typically love all humans and other animals, although socialization and training are important. 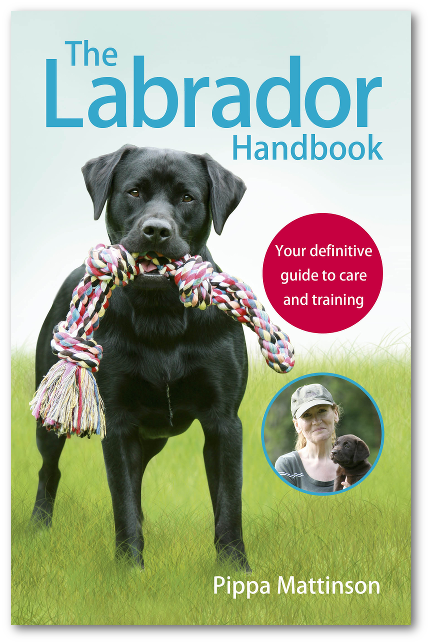 Labradors are very outgoing, eager to please, and energetic, so they do best in an environment where they can play and exercise with their family on a regular basis. Labs have double coats that only require brushing about once a week and tend to only shed seasonally. 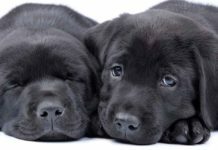 If you’re looking for a large black dog, a black Lab may be the ideal family dog for you. Although not everyone has the same taste, in my opinion, Labs are one of the cutest large dog breeds. Most types of large dogs can make good family pets with proper training, socialization, and preventative veterinary care. The large sized dog breeds mentioned in this article are commonly recommended for families. However, that does not mean that they will grow into good family dogs without your help. Training and socialization are critical for great family dogs. Regardless of which breed you choose, be prepared to spend time and energy teaching your dog how to be a proper family member. If you need any help coming up with large breed dog names, check out our post here! Drögemüller, C. et al. A Deletion in the N-Myc Downstream Regulated Gene 1 (NDRG1) Gene in Greyhounds with Polyneuropathy. PLOS One, 2010. Witsberger, TH et al. Prevalence of and risk factors for hip dysplasia and cranial cruciate ligament deficiency in dogs. Journal of the American Veterinary Medical Association, 2008. Previous articleShake It Off – Why Do Dogs Shake Their Bodies?